Here’s another quick and easy pork recipe that’s also frugal for the large family grocery budget. If you’re on the hunt for cheap pork recipes you might also like this Caesar Pork Roast. We’re really big on steamed veggies around here and steamed broccoli, carrots, or cauliflower go wonderfully with this Zesty Italian Pork Roast. Don’t forget about green beans or peas, too. On my 50 Keto Instant Pot Freezer Meals for my large family freezer cooking day I made two of these Zesty Itailian Pork Roasts. 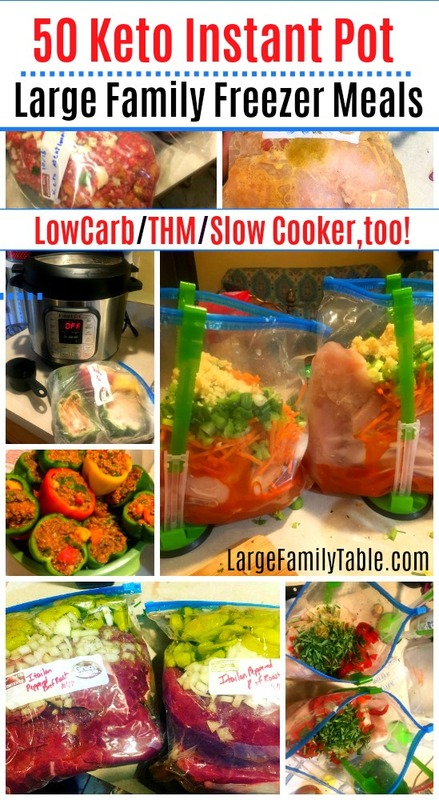 I use my 8 qt Instant Pot for this recipe. 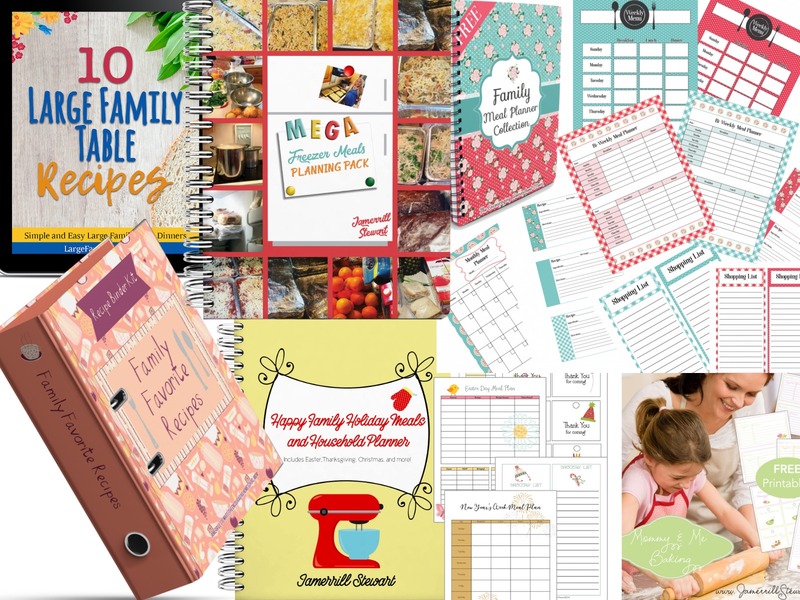 Here are my must-have freezer cooking supplies for large family freezer cooking if you’re interested. Run cold water over the outside of your frozen gallon freezer bag to gently defrost the frozen food from the bag (enough to dump it out and release the food from the side of the frozen bag). 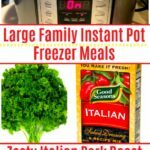 Place meal in Instant Pot. Place lid on pressure cooker and seal the valve. Cook on manual high pressure for 30 minutes. Let pressure naturally release. *Note the internal temp of your Zesty Italian Pork Roast. If the internal temp is not reached place back in IP for 10 minutes and check again. Because of the variables with pressure cooking, it’s not always a perfect science and sometimes needs additional adjustments. The USDA recommendations a minimum internal temperature of 165 degrees for pork. For the slow cooker just set out your Zesty Italian Pork Roast the night before to defrost in the refrigerator. The next day pull your Zesty Italian Pork Roast out of the freezer bag. Place it in your slow cooker and cook for 8-10 hours on low until meat can be shredded easily with a fork (slow cooker times may vary so always check the internal temperature to complete doneness). 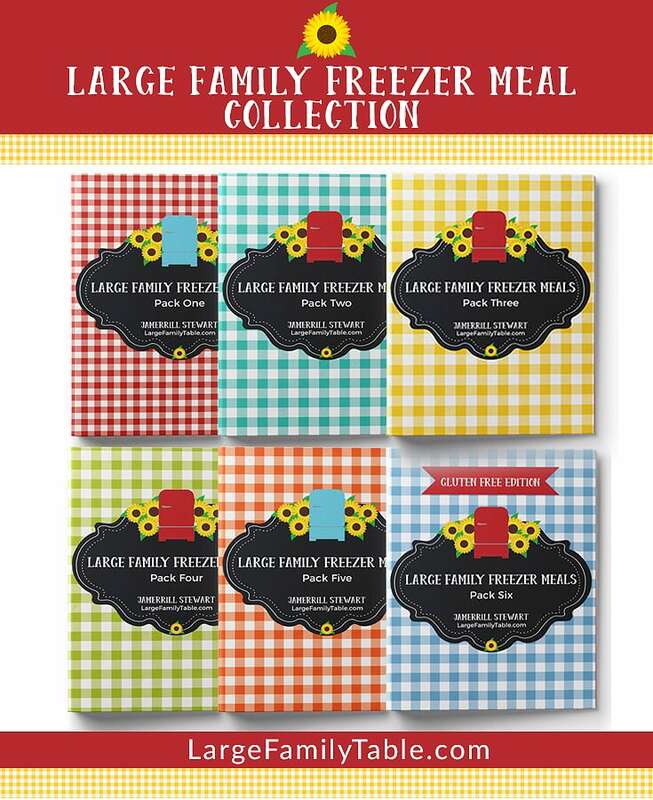 Serve with family favorite sides.